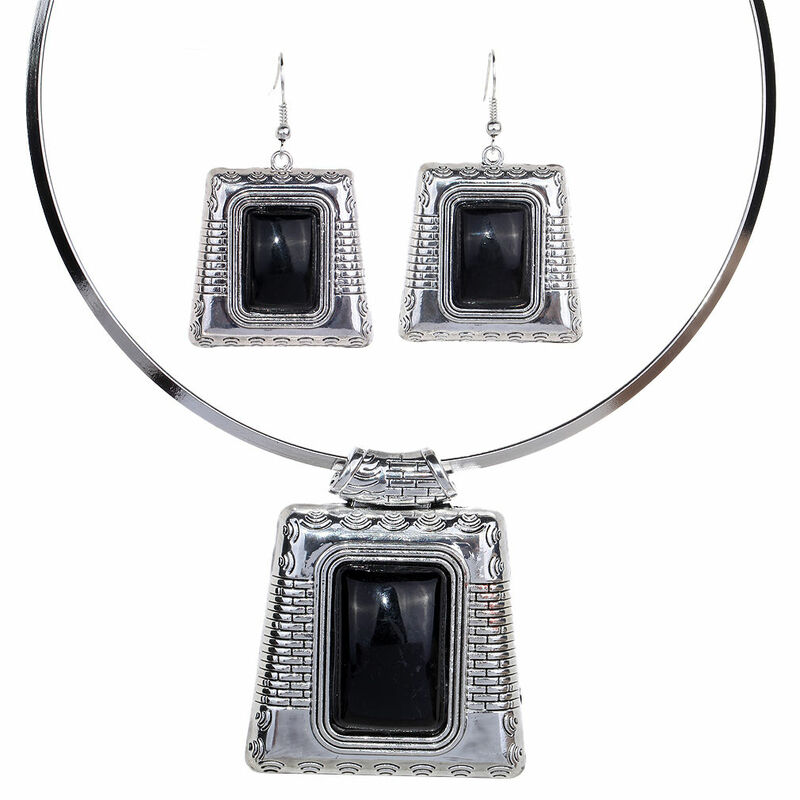 With geometric design and black formica stones, this Timora Boho Necklace Set is enchanting from all angles! Matching earrings. If it's cheap jewellery online you are looking for you've found it!